Thanks to the modern equipment at our disposal, we are able to manufacture small, medium and large dies, with max overall dimensions of 2500x1500xh 900 mm. Our “core business” is the home appliance industry, but we are able to cater to requests of all types: industrial motor-vehicles, agricultural machinery and all those industries requiring sheet-metal stamping. 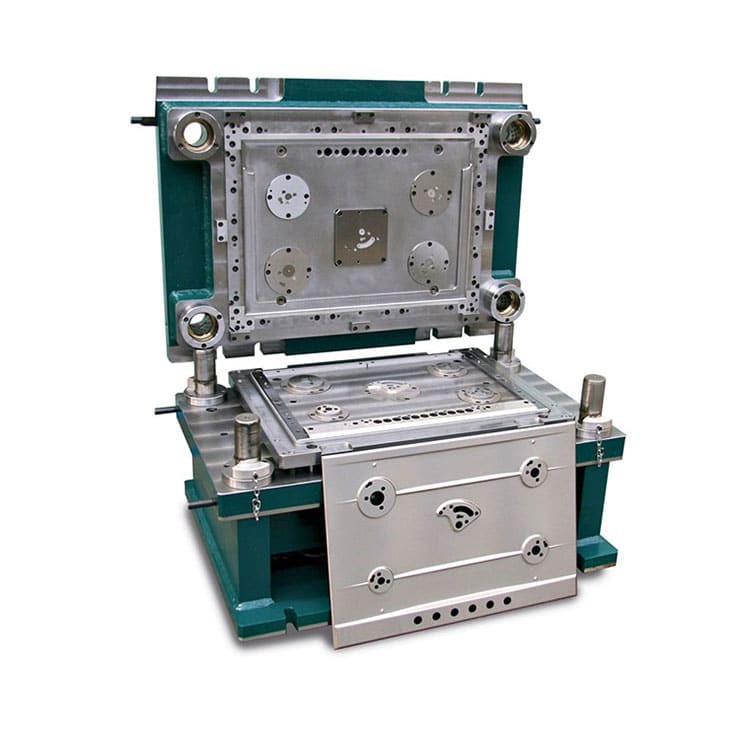 All the dies are tested by means of our presses (1000 t hydraulic press and Mechanical press up to 400 t). On request, we can also supply preproduction parts and small stamped lots. 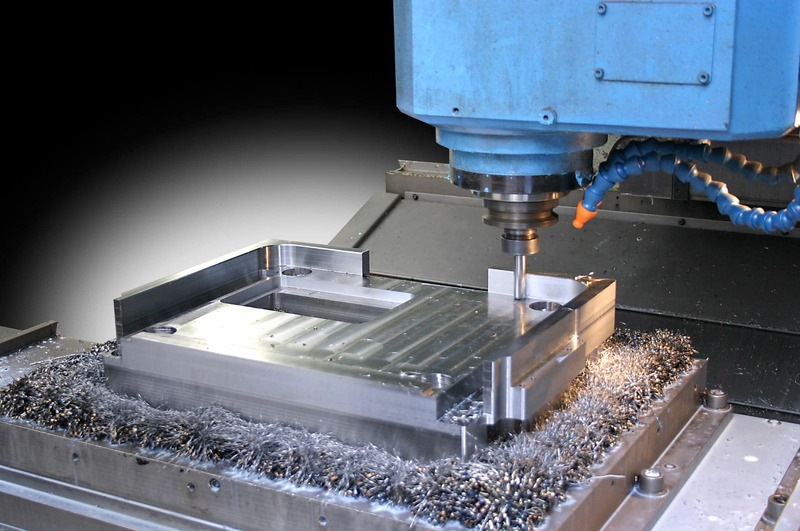 Thanks to over forty years of experience, backed by the use of the very latest CAD/CAM tools, we cater to any metal stamping requirement using the very latest technologies available on the market. The possibility of directly digitizing a customer’s prototype, direct interfacing with the most widely-used CAD systems, and the use of the very latest materials and cutting-edge production technologies are an integral part of the company’s production philosophy. We are also able to provide customers with a die repair and maintenance service for already-existing dies. 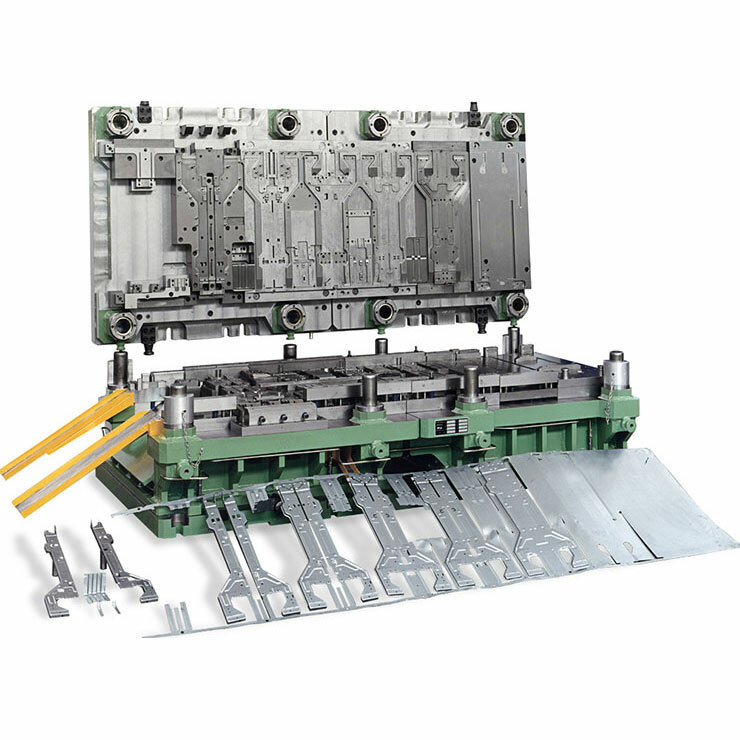 Belt feed dies with special focus on reducing scrap without affecting productivity. Our strong points are technology and quality of materials. 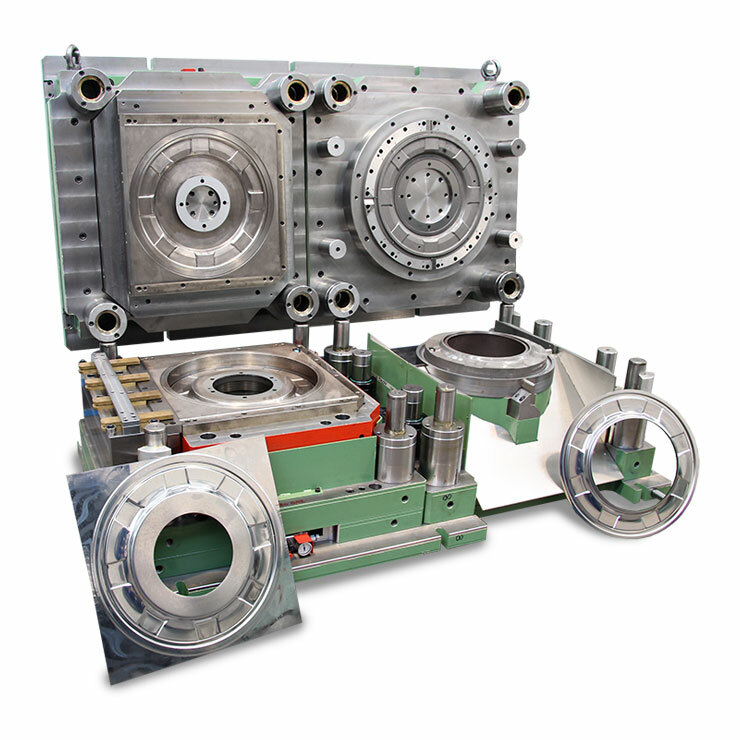 Pressing, cutting or bending dies, independent or specific for hydraulic or mechanical presses. Ease of use and quality combined in the same tool. Dies designed for automated product handling, complete with actuators and sensors, indispensable for robotized cycle production. We also make pneumatic conveyors integrated in the die, both partial and for complete handling.